These are the words from Meg Crosby, a former Google Executive who now runs her own company. After years of working with people from both Google and her new company PeopleCap Advisors, she’s concluded that ’employees on the ground level might complain about something to their managers, who report back to their bosses, who report to the executive team, who finally deliver the feedback to the CEO. And that feedback is usually diluted’, bit by bit at every stage. She notes that one might think they are hearing employees’ concerns, but the bigger the company and more senior a person is, the message continues to get filtered until the senior exec only hears a small part of the original message. This is especially hard to get a grip on if the employee with the original message knows that by the time it reaches the top, it’s not the same at all. And that employee would be lucky if, during that message’s travels, the employee isn’t discriminated against in some sort of way along the journey. 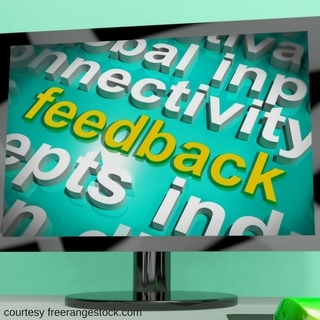 Leadership consultancy firm Zenger/Folkman conducted some research that suggested that leaders who ask for feedback most often are also the most effective. Ideally, an employee who can head right on up to and sit at the desk of a member of senior management and spew forth ideas, issues and questions would be great. The reality is that this is not often the case. Plenty of companies have employees scattered all over the world and senior management isn’t always available. And of course, if you’ve ever played the ‘pass the message’ game with a group, by the time your message comes back to you, it’s so completely wrong. A fun game to play at a party. But probably not the best way to communicate ideas, issues, and concerns at work. 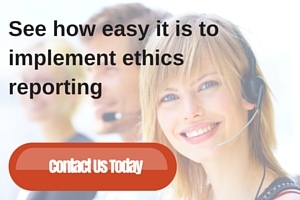 When a company engages in a third-party communication program like ethics reporting, not only are ethical issues logged completely without misinterpretation, suggestions for improvement and other ideas are also recorded. Communication between the employee and member of senior management regarding each case is also recorded so that there’s no misunderstanding any message. Having a third-party service in place not only takes all the heavy work off the company’s shoulders, it can be easily used to summarize issues and ideas employees have, and provide full reporting on common themes and areas where improvement might be needed. Plus, there’s no mistaking any message because it’s logged verbatim!